It was our first week in Uganda. We were at a school run by Evangelist Patrick. One afternoon we gathered the students under the mango tree for we were going to teach them about prayer. I began my part of the teaching by asking the students the kinds of things that they wanted to bring to the Lord in prayer. A number of students put up their hands and I gave each an opportunity to share their prayer requests. One student wanted wisdom and knowledge and another wanted healing for her grandma. And then, one young boy, perhaps eight years old, replied that he wanted to pray for the visitors. Now, each of the trips that I’ve taken so far begin, in the first week or so, with someone within the country (sometimes a few different people) bringing an anointing and the favor of God upon me for the duration of my ministry time within that country. This trip began the same way. I had already been anointed, so to speak, by the prophetic words and pastoral heart of the wife of the fellow who drove me from the airport and into Kampala. Now, here in Kasambya was this young boy speaking of praying for the visitors; I immediately recognized the Holy Spirit in his request and called him to the front. I got on my knees and as he stood beside me I suggested that he put his hand on my shoulder. But with barely a moments hesitation he put his hand on my head and prayed the most amazing prayer of blessing and anointing that I have ever heard. He was strong and confident and knew what he was doing. This moment will go down as one of the most amazing moments of my life. I’ve learned to watch for the Holy Spirit through each and every person; we just never know through whom we will be equipped for God’s work. It is vital that as we move within the Kingdom of God that we receive from each other; regardless of age or race or class or gender, we must come under the anointing of each other for our mutual blessing and uplifting and equipping for the work of the Lord. 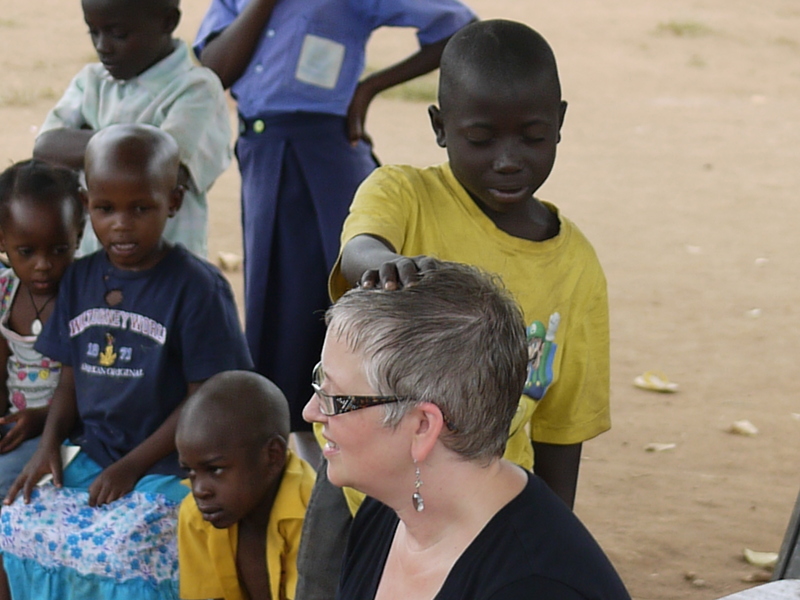 Our time in Uganda has been rich in healing and in repentance, in remembering and allowing once more the simple yet profound ministry of Jesus Christ within our souls, and of bringing to the cross of Christ the things we cannot any longer carry. And all of this has been facilitated in a greater way by an eight year old boy. Amen and amen. Thank you Lord.